I've been making my own yogurt for a few years now and I don't think I'll ever go back. Not only does it actually save me some grocery money, but this homemade yogurt is seriously good. I'm eating more yogurt now than ever before. It has a luxuriously creamy texture. It lends itself to many flavor variations. It’s inexpensive when you make it yourself. Grab this simple homemade YOGURT. Heat the milk. Pour the milk into the Dutch oven and set over medium to medium-high heat. Warm the milk to right below boiling, about 200°F. Stir the milk gently as it heats to make sure the bottom doesn't scorch and the milk doesn't boil over. According to the National Center for Home Food Preservation, this heating step is necessary to change the protein structure in the milk so it sets as a solid instead of separating. Cool the milk. Let the milk cool until it is just warm to the touch, 112°F to 115°F. Stir occasionally to prevent a skin from forming. (Though if one does form, you can either stir it back in or pull it out for a snack!) You can help this step go faster by placing the Dutch oven in an ice water bath and gently stirring the milk. Transfer the pot to the (turned-off) oven. Cover the Dutch oven with the lid and place the whole pot in a turned-off oven — turn on the oven light or wrap the pot in towels to keep the milk warm as it sets (ideally around 110°F, though some variance is fine). You can also make the yogurt in a dehydrator left at 110°F or using a yogurt maker. Cool the yogurt. Once the yogurt has set to your liking, remove it from the oven. If you see any watery whey on the surface of the yogurt, you can either drain this off or whisk it back into the yogurt before transferring to containers. 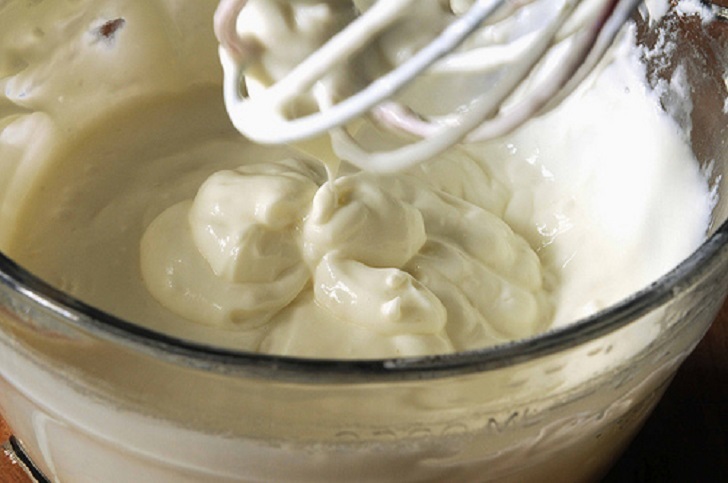 Whisking also gives the yogurt a more consistent creamy texture. Transfer them to storage containers, cover, and refrigerate. Homemade yogurt will keep for about 2 weeks in the refrigerator. Your next batch of homemade yogurt. Once you start making your own yogurt, you can use some of each batch to culture your next batch. Just save 1/2 cup to use for this purpose. If after a few batches, you notice some odd flavors in your yogurt or that it's not culturing quite as quickly, that means that either some outside bacteria has taken up residence in your yogurt or that this strain is becoming weak. As long as this batch still tastes good to you, it will be safe to eat but go back to using some store-bought commercial yogurt in your next batch.